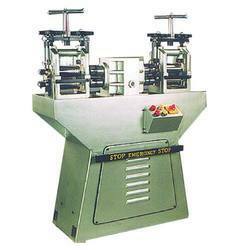 Pioneers in the industry, we offer carbide rolling machine and jewellery rolling machine from India. Requires very less maintenance and and has smooth functioning at the clients' end, our range of Carbide Rolling Machine is extensively demanded for these attributes. Catering to the exact needs of our clients, this offered range has been able create a separate identity of its own in the domain. 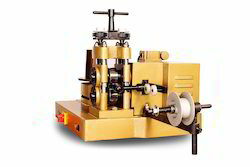 Manufacturing and exporting a broad gamut of Jewellery Rolling Machine have enabled us to establish a respected position in the concerned domain. We check every details of our range very stringently before dispatching this to the clients' end and backed by this customers in large numbers demand our machines. Looking for Rolling Machine ?